The Secretary serves a three-year term. The Secretary is responsible for recording and verifying the official records of the Board of Directors, the Executive Committee, and the Annual Business Meeting. 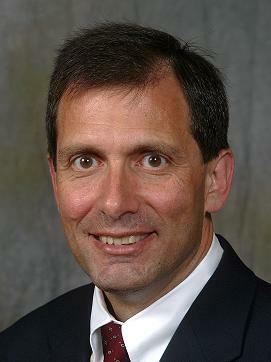 Warren G. Frisina is dean of Hofstra University’s Honors College (HUHC) and associate professor of religion. Frisina came to Hofstra University in 1997 after serving for six years as the American Academy of Religion’s associate executive director. In his final six months with the AAR, he served as acting executive director. book The Unity of Knowledge and Action: Toward a Nonrepresentational Theory of Knowledge was published in 2002 by the State University of New York Press. He coedited Teaching the Daodejing (with Gary DeAngelis, Oxford University Press/AAR Series, 2008) and The Pragmatic Century: Conversations with Richard J. Bernstein, (with Sheila Davaney, State University of New York Press, 2007). Before his appointment as dean, Frisina served as chair of the Hofstra University department of philosophy and religion and eventually as founding chair of the newly independent department of religion. Frisina was also founding chair of the AAR’s Institutional Relations Task Force where, among other things, he worked with committee members to help develop and implement the AAR’s first census of the field and to increase the AAR’s resources and training opportunities for department chairs. Frisina has also taught at Rice University, University of Houston, and Emory University. survive the vagaries associated with the boom and bust cycles of academic life in the United States? research could be done there had to be a place where it could be presented. There had to be publications ready to accept it. Someone had to imagine a discursive space large enough to contain it and to encourage all of the cross-pollination that has given our field its rigor and its potency. The AAR has done all of that for us. As it matured the field grew and it became easier to make the case that the academic study of religion, in all of its forms, should have a permanent place at the table. My research in Confucianism and American pragmatism has taught me, however, that human institutions are far more fragile than we usually think. They may seem solid, but without proper leadership they collapse quite easily. I responded positively to the invitation to run for Secretary of the AAR because I was concerned that we are entering a period (both economically but also culturally) that threatens much of what the AAR has accomplished and many of those jobs that we sometimes take for granted. I am not suggesting I have special wisdom when it comes to addressing these problems. I do think, however, that it’s important that the AAR’s leadership be attuned to the risks we are facing and actively discussing courses of action that are designed to meet those challenges. The job of Secretary is critical in the AAR’s governance structure. S/he must ensure that all of the voices engaged in discussions about our future are represented in the permanent record of the Board’s actions. Moreover, as a member of the Board, and as a member of the Executive Committee, the Secretary carries special responsibilities when it comes to making certain that decisions address all of the concerns of a membership that does not always speak with one voice when it comes to setting our priorities. At various times I have received a great deal from the American Academy of Religion. I am quite sure I would not have the career I enjoy were it not for the AAR. I would welcome the opportunity to give back to this institution and the community of scholars that has sustained me in such fundamental ways for so many years. David L. Weddle is professor of religion at Colorado College, where he teaches courses in comparative theology, philosophy of religion, ethics, American religions, and theory and method of religious studies. Weddle was educated at Hope College (BA) and Harvard University (MA, PhD). In addition to articles in scholarly journals, he is the author of Law as Gospel: Revival and Reform in the Theology of Charles G. Finney (Scarecrow Press, 1985) and Miracles: Wonder and Meaning in World Religions (New York University Press, 2010). Prior to coming to Colorado College in 2001 as chair of the department of religion, Weddle taught at Cornell College, Iowa, where he served on faculty governance committees and held the position of Richard and Norma Small Senior Faculty Chair (1998–2000). As a Joseph J. Malone Fellow of the National Council on United States–Arab Relations, he has traveled in Egypt, Jordan, Syria, and Israel; and he studied Islam in Malaysia, sponsored by the Iowa-Terengganu Sister States Committee. Weddle also hosted a weekly public service television program on ethics of public policy and served as secretary for the board of Chapel View Manor, a low-cost housing program. Weddle chaired the Minority Concerns Committee of the Associated Colleges of the Midwest and was president of the American Theological Society Midwest Division. At Colorado College, Weddle chaired the department of religion and served on the Faculty Executive Committee, participating in governance, budget, and personnel decisions. 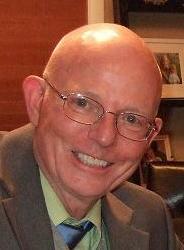 He was appointed the David and Lucile Packard Professor of Religion for 2009–2012. I have been a member of the American Academy of Religion since 1973, attending Annual Meetings and contributing to the work of the Upper Midwest and Rocky Mountain–Great Plains Regions by presenting papers and organizing sessions. I was honored to be chosen as the AAR Rocky Mountain–Great Plains Regional Senior Scholar in 2009 and to be appointed to the national AAR Regions Task Force in 2010. I am an advocate for stronger connections between the national AAR and regional organizations, with greater recognition of regional meetings as primary locations for scholarly exchange and collegial conversation. Our regions also give valuable support and oppportunities for professional development of graduate students in the academic study of religion. From the time I began teaching — in the days when JAAR had illustrated covers! — the AAR has provided indispensable peer support, rich scholarly resources, and pedagogical inspiration. My career in small undergraduate liberal arts colleges has required teaching across a wide range of subjects and one important way that I have been able to meet the demands of staying current is through the regional and national meetings of the AAR and SBL. Thus, I am committed to keeping our professional society strong and effective, particularly in the current cultural environment of skepticism about higher education in the humanities. My interest in being considered for the position of Secretary of the Board is another expression of that commitment. It will be imperative, during the transition to the Board’s new form of organization, to compile complete and accurate records. I believe that reliable institutional memory is one key to the continuing effectiveness of any professional association. Because history is the child of interpretation, one defense against distorting the past is to keep as complete records as possible to aid future interpreters. If every law has a history, then the minutes of its formulation provide insight into its rationale and authority. That rule will hold during this new phase of AAR governance as well, while we address questions of how best to enhance the services of the AAR in a time of global economic crisis; how to support colleagues in areas of the world where the critical study of religion is a threatened profession; how to raise our voice effectively in a public square increasingly strident with simplistic religious slogans and shadowed by dangerous ignorance of religions and spiritual traditions as cultural and political movements sweep through; and finally — and perhaps most important for the future of the study of religion in the academy — how to encourage those with the courage to embark on the rigorous discipline of graduate study of religion in these uncertain times. My experience in recording minutes of countless department and committee meetings, as well as lively discussions of the management of a public housing project and the creatively contentious deliberations of a community theatre, may prepare me to contribute to the reflections of the new AAR Board on these critical challenges.